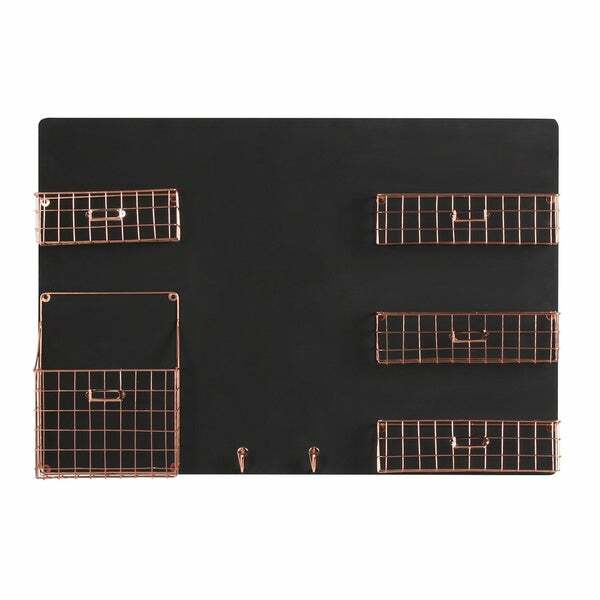 Leave important reminders, convey positive sentiments to members of the household, and keep track of your mail and keys with this decorate wall chalkboard with metal baskets and convenient key hooks. 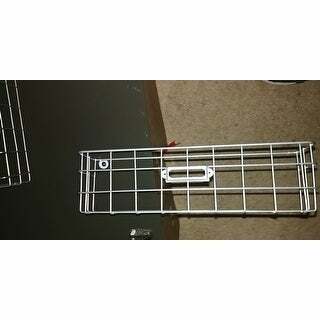 The five metal baskets come with metal label pockets for easy customization to bring order to entryways, kitchens, or home offices. Looks really cool in my home office, but the baskets are not welded on good, so it's not very functional and fell apart within a couple of months. 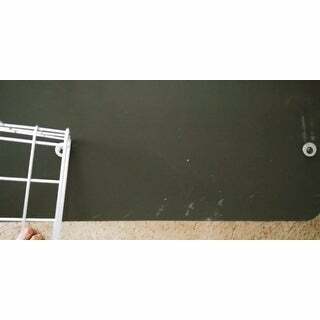 Luckily I'm crafty and used a hot glue gun to put it back together and reinforce. I give it three stars for the look but minus two for the poor craftsmanship. I think it's a bit pricey for the quality or lack there of. "What color metal is this system? I see a silver tone and a brass/copper looking tone."